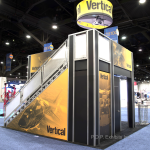 Common Trade Show Rental Misconceptions – P.O.P. Exhibits Inc.
Over the years nothing in the exhibit industry has changed more than exhibit rentals. Back in the day, exhibit rentals stuck out like sore thumbs on the exhibit floor. But today, they are usually completely indistinguishable from purchased exhibits. 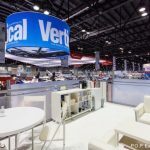 Even though those of us in the industry know how far rentals have come, there still remain a lot of misconceptions out there regarding exhibit rentals. Let’s go through the most common fallacies about renting an exhibit. Maybe, maybe not. Is the show always in the same city? If not, where you rent from doesn’t really matter. 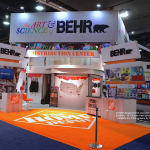 It’s better to choose an exhibit company you trust and can build a relationship with. Our standard venues are Las Vegas, Orlando, and most cities in California. So if your show is in any of those places your price will be the same. 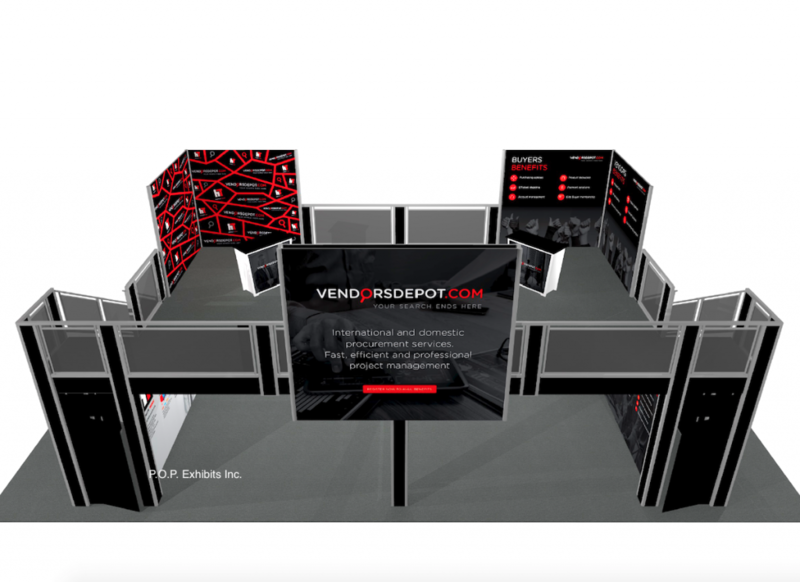 In other locations we’ll require a small out-of-venue fee to cover travel expenses for your booth and I & D team. It’s always worth it to our clients, however, to know that the person installing & dismantling their booth is an expert! We hope not! Do the exhibits below look like rentals to you? 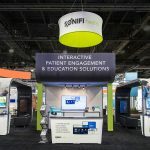 At any major trade show likely over 25% of the exhibits are rentals and I bet you couldn’t pick them out. We do our absolute best to make sure our rentals look as new as possible at every show. Most of our standard kits have custom design elements thrown in, and most of our clients customize their designs further. 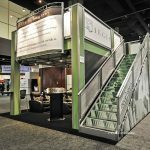 In the end, our hope is for our clients to have a functional, attractive booth that looks looks custom made for their company. The large curved header was a custom design for this rental, as were the partially frosted panels for the conference room as well as the backlighting behind the workstations. Normally on our double decks the plexi glass railing continues around the upper deck. This client, however, requested graphic walls in the corners for photos with celebrity guests to be taken in front of. 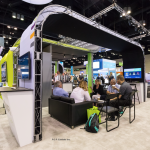 As mentioned above, most of our clients customize their booth in some way. If you had to pick from a list of kits knowing what-you-see-is-what-you-get, rental exhibits probably wouldn’t exist. Every company needs something a little different! Below are some images with explanations of how each was customized for that client. That depends on a number of factors. In general, renting is less expensive. This is especially true if you re-use the same graphics for many shows. 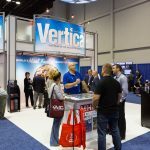 If you attend trade shows frequently and don’t need to change your design or graphics often, purchasing likely makes more sense for you. But if your shows are less frequent and design needs are constantly changing, renting provides a lot more flexibility. 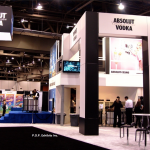 There’s a lot to consider when deciding whether to rent or purchase your exhibit . If you’re on the fence, give us a call and we can help you decide what makes the most sense. It’s our opinion that the stigma once associated with rental exhibits no longer exists. This is due to a number of factors mainly to do with an increase in attractive rental designs and increased flexibility in structure. We believe that rentals will slowly take over more and more of the exhibits seen on the show floor, though no one would know it from just looking at them. P.O.P. Exhibits Inc. provides a comprehensive list of products and services. Established in 1995, the company has continued to evolve as evidenced by a varied account list of leading companies in a wide array of industries. 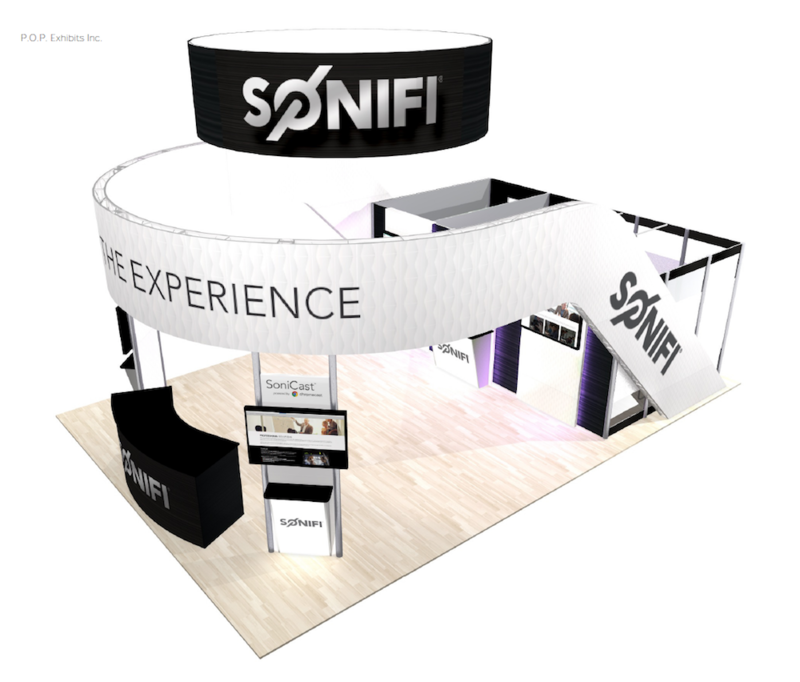 We’re familiar with exhibit design that focuses upon software, hardware, giftware, media, apparel and much more. 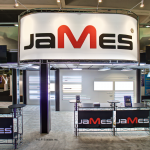 Whatever you’re exhibiting, we’re confident we can help you design a display that will showcase your product beautifully. P.O.P. 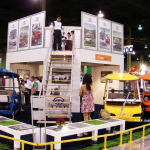 Exhibits Inc. has been in the trade show industry since 1995. 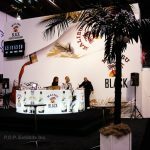 We specialize in Double Deck Exhibits, Rentals and Custom Island Exhibits.